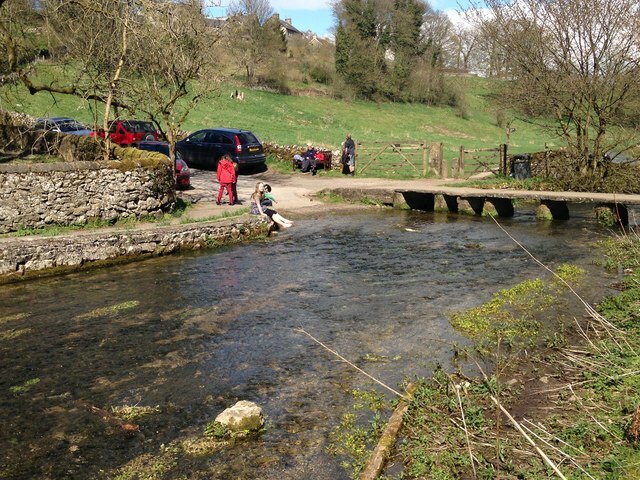 This is the first of the two fords on the River Bradford at Youlgreave. This one is found at the foot of Holywell Lane which runs down the hill from the centre of the village. I noticed that the signs in the village are all spelt 'Youlgrave'.